Target Restoration has been a leader in providing disaster restoration services in Waco, TX and the surrounding central Texas communities for over 20 years. We are committed to providing the homes and businesses throughout central Texas with quick and efficient restoration services with a sense of professionalism and integrity. Each of our technicians at Target Restoration has IICRC certification which they can only achieve through on the job training and classroom work. 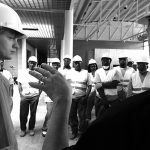 The certification process for our project managers takes over 7 years of class and field work before they can become Master Water and Fire Restorers. We have more than 100 years of combined experience and we are also members of TIPS and TAPS, the Interlocal Purchasing Systems in Texas and Oklahoma. As members of TIPS and TAPS, Target Restoration must follow certain policies and procedures and be available to help businesses, industrial complexes, healthcare facilities, and government facilities without delay. We have been trusted to provide restoration services for several important central Texas institutions including Baylor University, Fort Hood, Darnell Army Hospital, Belton ISD, and H-E-B grocery stores. Our superior restoration work and excellent customer service has earned us several awards including the 2013 Contractor Connection Golden Hammer, the 2014 HOT Choice Award for Home Restoration, and the 2015 Best of Waco Award for Water/Fire Restoration Service. You can reach Target Restoration 24 hours a day for emergency disaster restoration services by calling (254) 730-4744. A fire in a home or commercial property can happen quickly and cause several types of damage from severe structural damage to tarnishing and etching caused by soot and other corrosive byproducts. 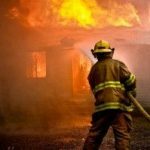 After a fire is put out, it is very important to start the fire damage restoration services to avoid further and even permanent damage. 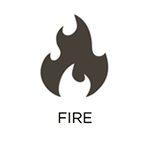 Target Restoration provides fire and smoke damage restoration services for homes and commercial buildings in Waco, TX. We arrive within an hour of your call to evaluate the damage and begin the repairs to restore your building and belongings. Our certified technicians can take care of everything from cleaning and smoke odor removal to reconstruction of heavily damaged areas. 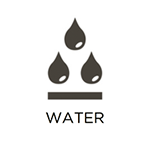 A water damage emergency in residential and commercial settings can occur in many ways. Heavy rain can lead to leaks or seepage through the roof or foundation, and an overflow, burst pipe, or natural flood can lead to standing water inside. Excess water must be removed immediately because it can cause extensive damage to the building materials, structural elements, furniture, and personal items within a home or building. Target Restoration provides complete water damage restoration services to help affected homes and businesses in Waco, TX. Our certified technicians can identify the source of the excess water, provide water extraction and drying services, and repair serious structural damage. 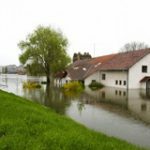 The damage caused by a natural disaster such as a flood, fire, mold, or storm may vary by case, but each of these disasters does have the potential to cause serious structural damage. 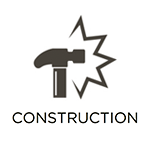 Not all disaster restoration companies can rebuild serious damage to your home or building, but Target Restoration can with our construction services. We are a licensed contractor that can provide complete construction services to rebuild serious damage to homes and businesses in Waco, TX. Our project managers will plan and implement every step of the process with superior workmanship and attention to detail. We can effectively rebuild and restore commercial buildings, multi home properties, and modern and historic homes. 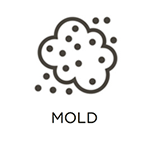 Mold can appear in a home or building quickly and make its way through building materials, textiles, and other objects. The presence of mold is usually a secondary effect of water damage as mold growth may appear just hours after water damage occurs. If mold is on your property, it must be removed right away to avoid serious damage and negative health effects. Target Restoration provides complete mold remediation services for homes and commercial properties in Waco, TX. Our technicians are IICRC certified and licensed by the Texas Department of State Health Services (DSHS) to provide effective mold remediation using proven methods and equipment. There are many different types of biohazard materials that you may encounter including mold or sewage from water damage as well as dangerous materials in a trauma scene. Regardless of what type of biohazard materials you come across, it is best to hire a professional to clean them up. Mishandling any type of biohazard material can lead to serious health consequences which is why you are advised to avoid contact with these dangerous materials. Target Restoration provides environmental services that include biohazard and trauma scene cleaning in Waco, TX to help remove these materials safely. 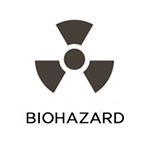 We are fully licensed to provide biohazard cleaning services which include the removal of the dangerous materials and full decontamination to restore the scene to a safe condition. For more information on our restoration and cleaning services, contact Target Restoration at (254) 730-4744.